Just wanted to share what I came across on my facebook page from a guy many of you know from Savannah, Georgia. David Coney, who grew up in West Savannah has written a poem about a housing project that has since been demolished, Fellwood Homes; this is also the housing project that my mother moved into when she was only 2 years old, along with her oldest sister who was 13 and her baby sister that was only 4 months old, along with their parents Maxie and Esther Ryals. 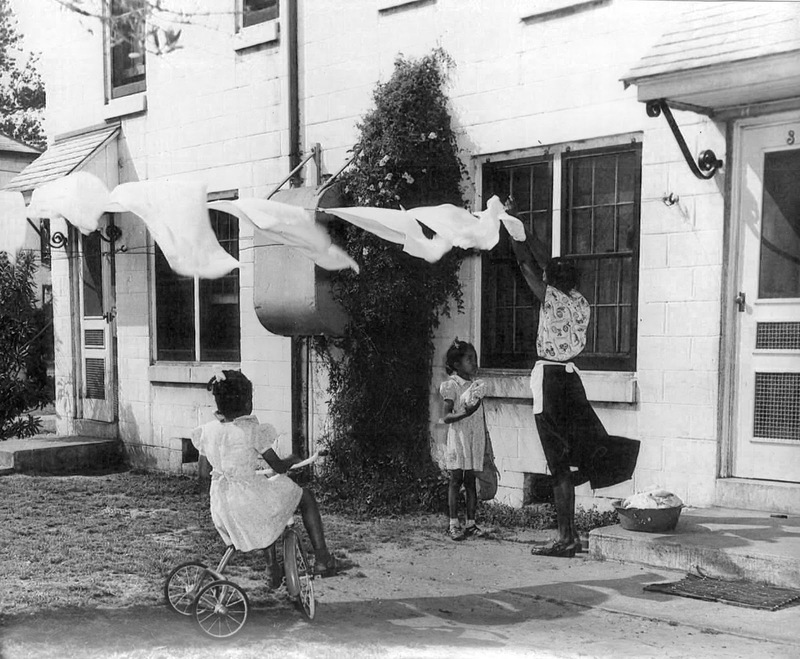 The photo that David used in the poem was taken in 1949 of my grandmother hanging clothes on the line along with her two youngest daughters and my mother is the one handing her the clothes pins. This photo is also featured in the book, Low Land and the High Road: Life and Community in Hudson Hill. West Savannah, and Woodville Neighborhoods, by Martha L. Keber, on page 43.